I received these products for free from Smiley360 in exchange for my honest review. You can join Smiley360 at www.smiley360.com. Taking care of your skin is an important part of a healthy daily routine. Unfortuantely life happens so fast that seem to neglect taking a few extra minutes to take care of our body and skin. I have been really working on this aspect of my beauty routine lately so I've been using some new products to help motivate me to keep going! 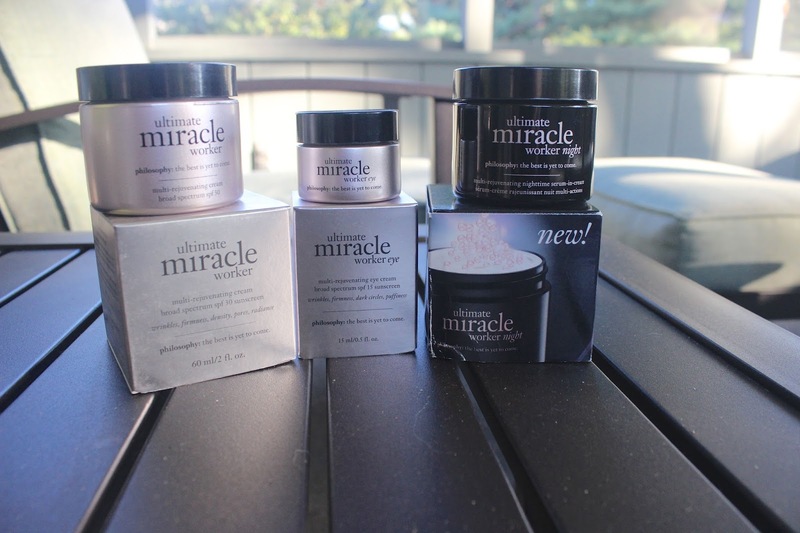 So Let me tell you about the philosophy ultimate miracle worker line and what it's been doing for me. 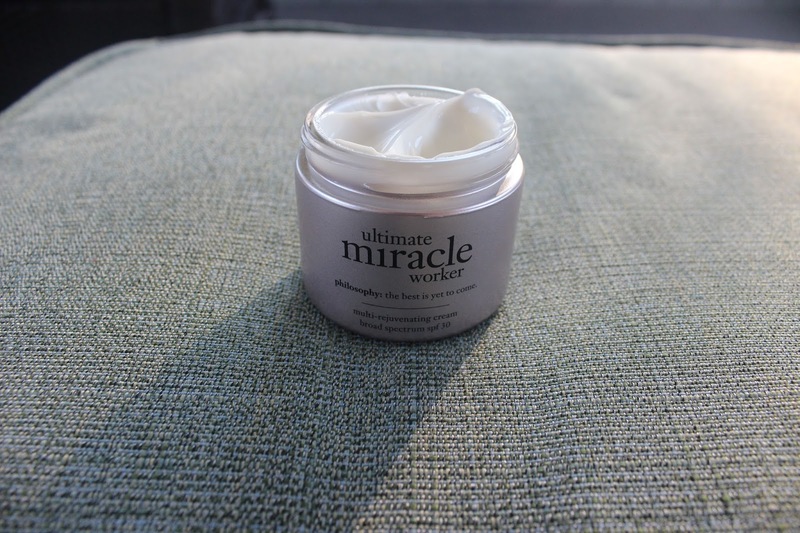 The philosophy ultimate miracle worker line was designed to give you more firm, dense, and radiant skin with less visible wrinkles and pores. It's the first to target UVA, UVB, Infrared, AND Visible Light and give your skin protection from all 4. It even uses active plant cells to rejuvinate your skin better than ever before. It stimulates natural cell renewal and rebuilds collagen. So if you are looking for an anti-aging powerhouse you have found your new line of products! The fact that I can wear this during the day and get protection from the harmful rays of the sun is even more reason to use this everyday. It really helps rebuild skin from sun damage. My skin looks brighter and feels so much more soft and hydrated. 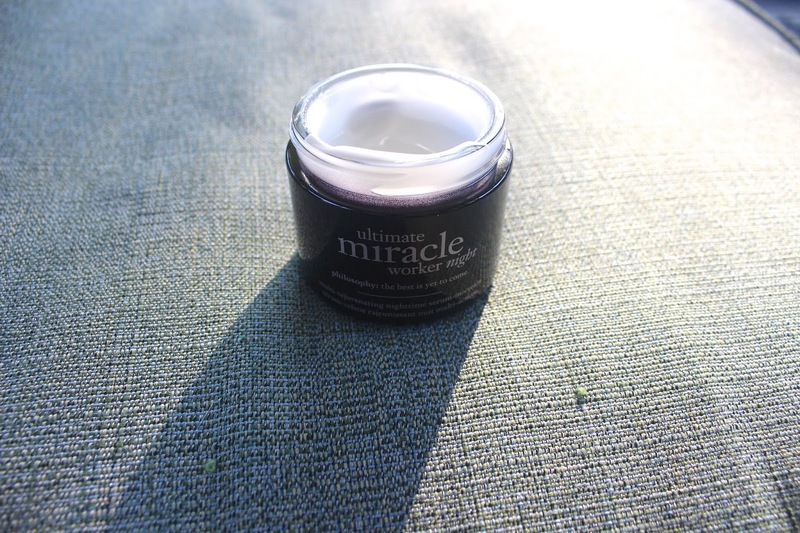 This eye cream absorbs quickly and doesn't irritate my sensitive skin. 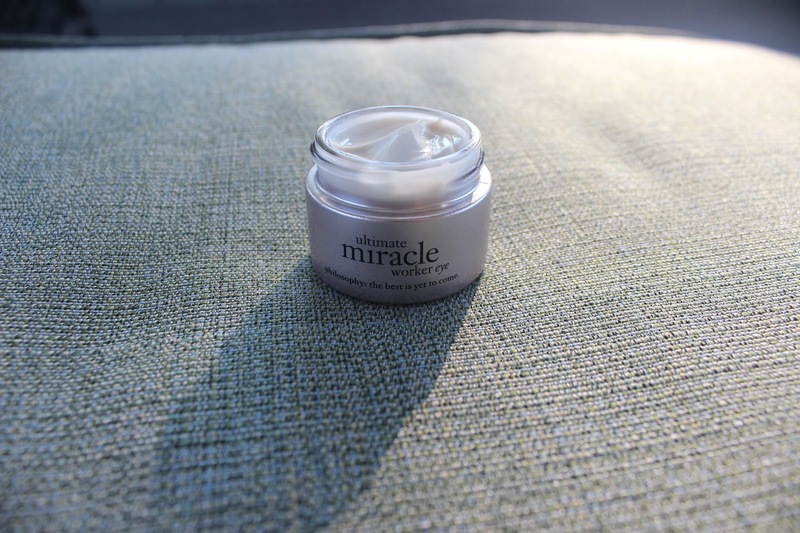 It's formula is designed to target lines, wrinkles, and firmness and even diminish dark cicles and puffiness. It's left the area around my eyes very hydrated and I've already noticed a difference with firmer skin and the appearance of less fine lines. I no longer look scary and puffy from allergy eyes! This night cream is super fun with these little pearls that yuo stir in and allow to sit for about 5 minutes. The pearls melt and you can apply the cream every night before bed. I am telling you that within days, I've woken up with a better complexion that didn't look dried up and parched. My skin is firmer, even in the morning and my pores look smaller. This was really fun to massage into my face as well. Don't forget to join the philosophy Mailing List and receive a free welcome gift!